Many applications windows are scaled down to about two thirds of original size on my system (a laptop with two external monitors) and also on one another (also a laptop, but with a single external monitor). 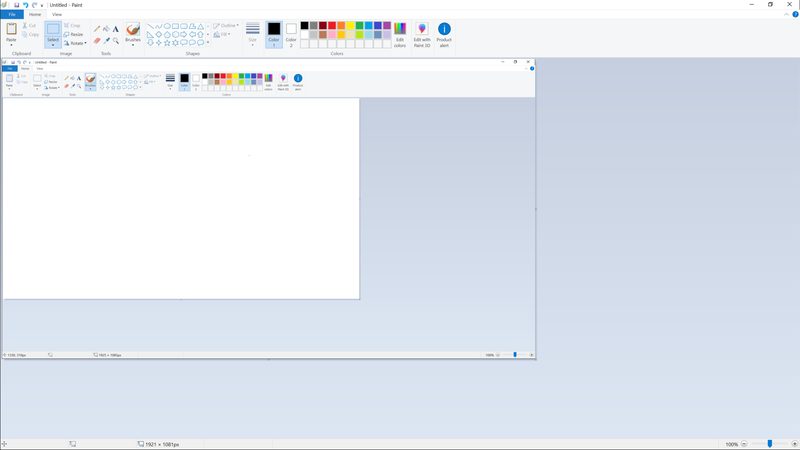 For example, if I open a 1920x1080 PNG picture in Paint and maximize it on the middle monitor (that has native 1920x1080 resolution and is set to that resolution in Windows, with 100% scaling), the picture will not take up the entire window, but seems to be scaled down to about 66%. What could be the cause and how to fix it? It is Windows 10 Home 64 bit (up to date, version 1803). The laptop monitor is 1920x1080 with 150% scaling and the third monitor is 3440x1440 at 100% scaling. Logging out and back in does not help, neither does rebooting. This is a typical problem with Windows 10. Try resetting scaling to 100% for all three screens and then check again. For that you need to visit the Display settings (right click the desktop to see this option) and select each monitor and set scaling to a 100%. The monitor with resolution 1920x1080 should be scaled as 100% (unless physically small), while the monitor with resolution 3440x1440 should be scaled as 150% (or as whatever scaling makes the desktop text readable). Not the answer you're looking for? Browse other questions tagged windows-10 display scaling or ask your own question. Is there a way to specify separate scaling factors for multiple monitors in Windows 8.1? What does scaled resolution mean in OSX? What does “Disable Display Scaling on High DPI Settings” on Windows 10 mean? 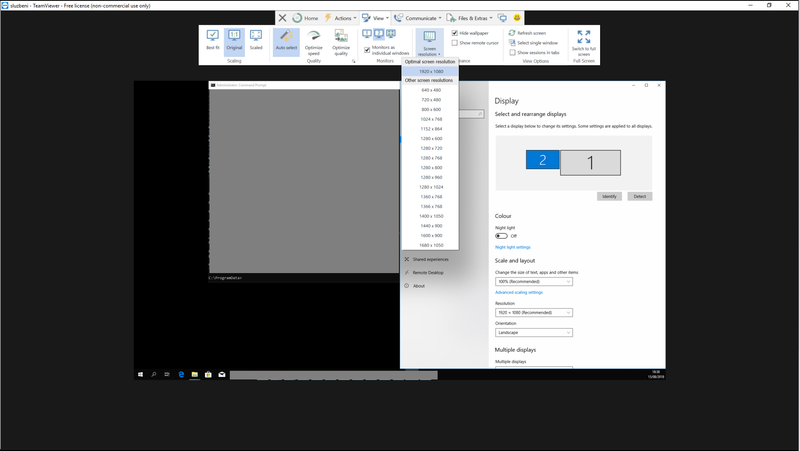 How does Windows 10 guess physical dimensions of a 1080p display?